Located in Acworth. Includes services offered, photos, business profile and contacts. Offers birth monitoring system for mares, cows, sheep and llamas. Located in Acworth, Georgia. Offers sales, appraisal, and home inspection classes for Georgia professionals. Includes course schedules and registration, news, testimonials. Based in Acworth, GA. Located in Acworth. Includes awards received by the owner, a gallery of past works, and contacts. Award winning Ken Dye designed course at Lake Acworth. Photos, scorecard, calendar and rates are featured. General information, including rates, location, tournament and outing, contact and membership details. Acworth. 11 Heritage Presbyterian Church Acworth, Georgia. Acworth, Georgia. Weekly worship and activity schedule, events calendar, sermon archive, information on the weekday preschool. 12 Mars Hill Church Acworth, Georgia. Acworth, Georgia. Information on worship services, Christian education programs, youth, general ministries, the weekday preschool and upcoming events. acworth, georgia conservation and restoration studio for antiques, paintings and sculptures. SiteBook Acworth City Portrait of Acworth in Georgia. 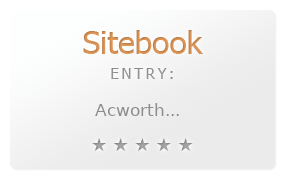 This Topic site Acworth got a rating of 4 SiteBook.org Points according to the views of this profile site.